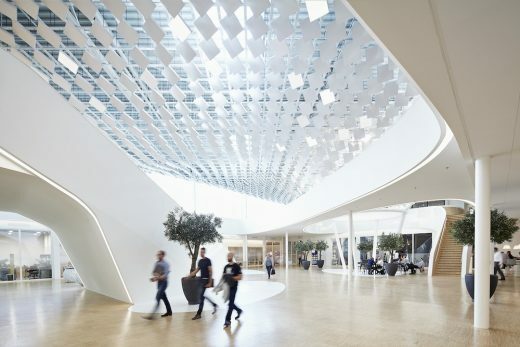 “The atrium, originally the central courtyard of the 1950s building, was designed as a place of welcome, way finding, branding and staff interaction, and therefore had to be strong spatially,” said LAVA director Alexander Rieck. 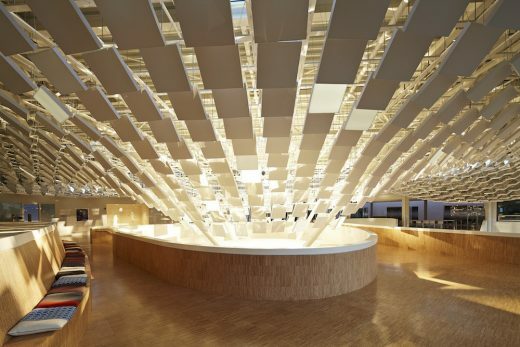 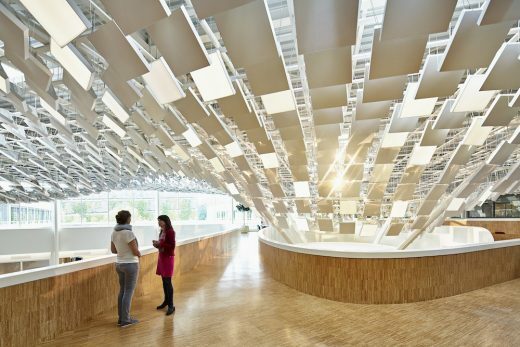 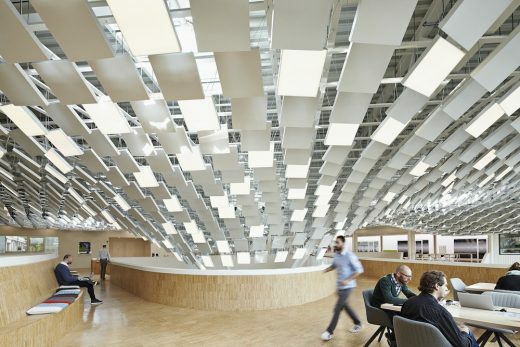 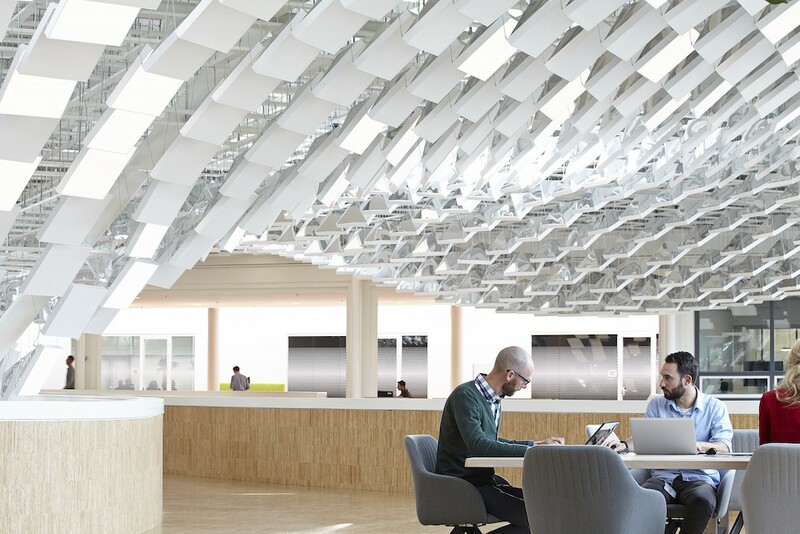 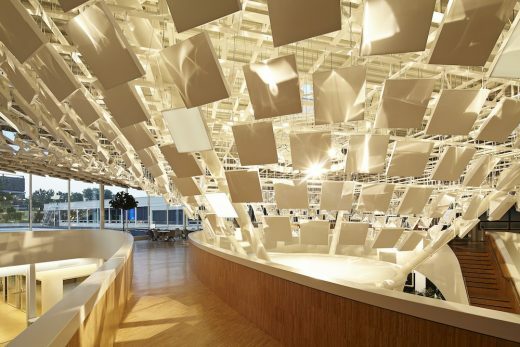 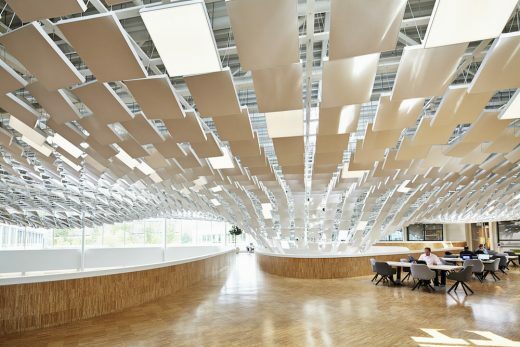 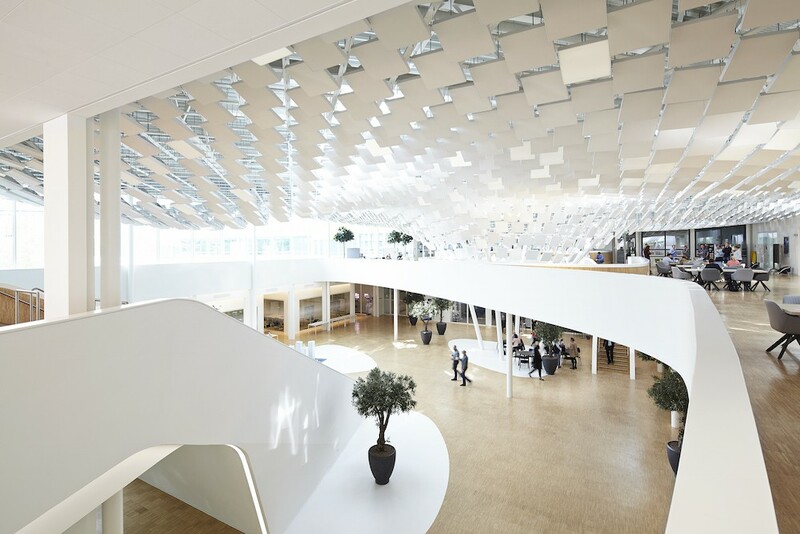 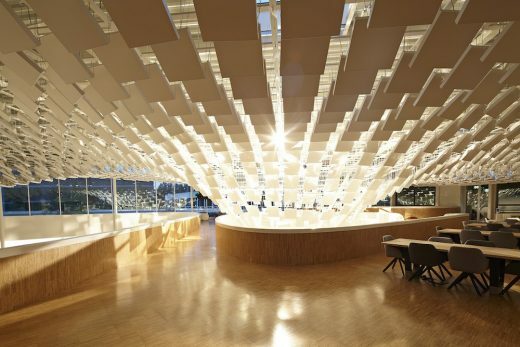 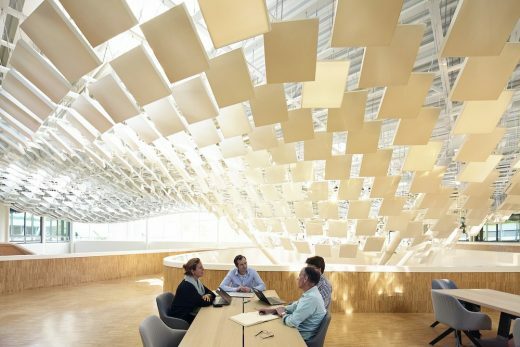 Five hundred panels use self-emitting Philips Ecophon Soundlight – an integral product that consists of comfortable LED lighting with sound absorption in an integrated light and acoustic ceiling system. 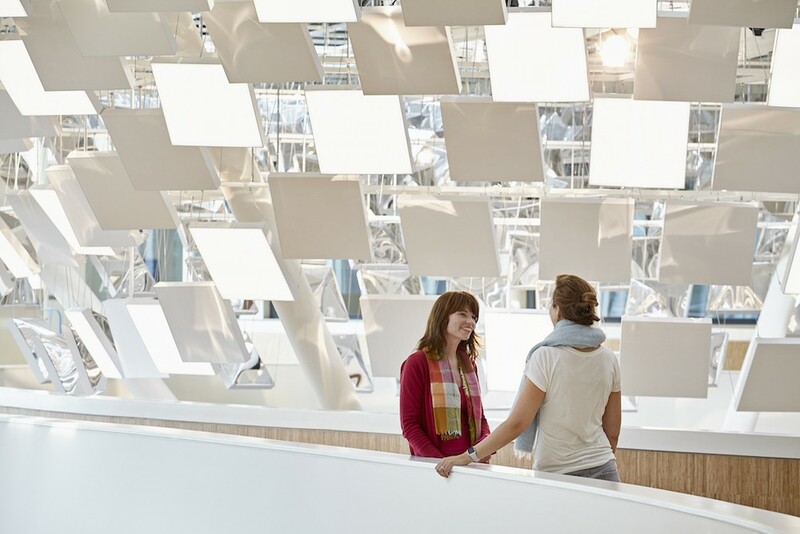 build a smarter, more socially and environmentally responsible future.